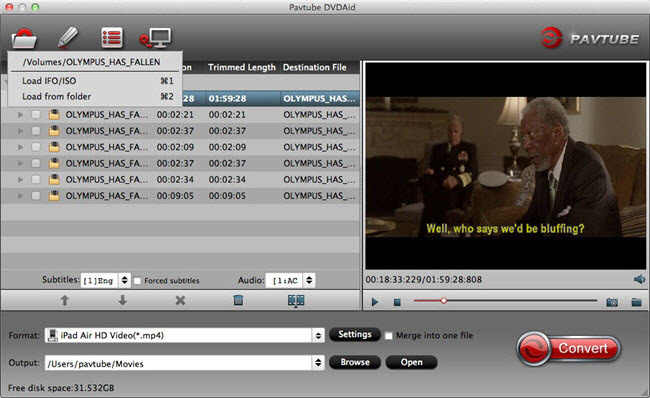 Pavtube DVDAid for Mac offers Mac users the efficient way to copy disc with 1:1 DVD structure and save to computer hard drive without quality loss. At the meantime, it helps convert any DVD movies to almost all popular SD and HD video formats like H.264, DivX, MP4, AVI, WMV, MOV, FLV, MKV, etc. and you could freely watch DVD movies on iPad, iPhone, Galaxy Tab, Galaxy Note, Nexus, PSP, PS3, and other multimedia devices.